The Outdoor Grill makes barbecues at the park easy and efficient. 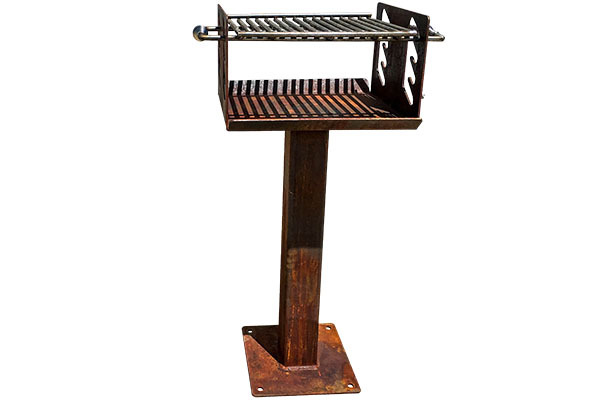 Each grill features a mild steel box with a stainless steel grill top. 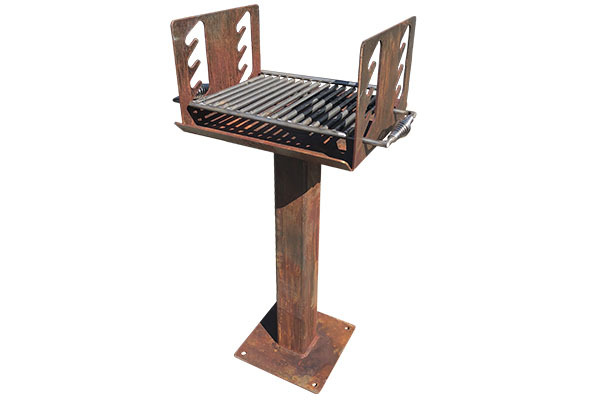 The grill top is 18″w x 14″d x 10″ h. A 30″ post is placed under the grill top with a 12″ x 12″ base plate and 1/2″ holes for mounting.